The All India Bank Employees Association, the oldest and largest national trade union of bank employees in India, has been raising bank-related policy and regulatory issues for decades. 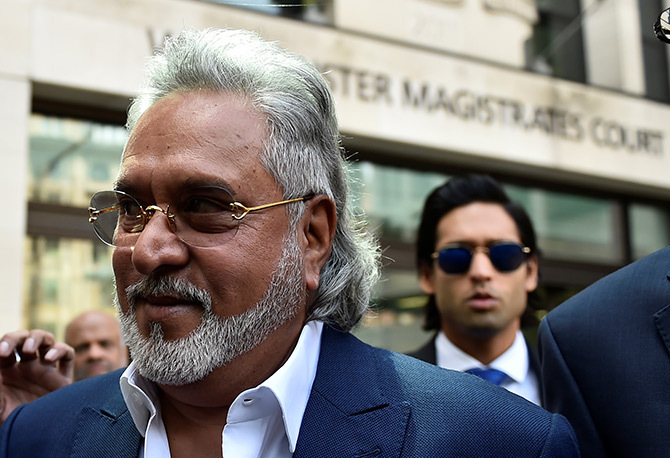 "The IBC proceedings in the case of Vijay Mallya are against Kingfisher Airlines, not Mallya. So the company and its employees will suffer and the banks will take a haircut, but Mallya can start another business," AIBEA General Secretary C H Venkatachalam tells Gireesh Babu. What, according to you, are the reasons for the crisis faced by banks in India? With development finance institutions such as ICICI and IDBI becoming banks, and with economic growth leaving banks with surging deposits but not many retail lending opportunities, commercial banks were compelled to lend to huge projects for which they did not have the expertise. There are people who took loans, but were not able to repay. There are crooks who know that banks are under compulsion to lend, and came up with huge projects so that they could cheat. The banking crisis is a combination of many factors. The government must have a deep understanding of this crisis. On the one hand, it says it wants to give autonomy to banks, and, on the other hand, it interferes in many routine matters. The government should support banks if NPAs occur because of genuine reasons and take action against crooked businessmen who are responsible for them. Or else, banks will not be viable in the long term. This will erode the confidence of people in the banking system. Bank deposits are an important conduit for social capital. Private sector banks too are facing issues. What is your take on this? So far allegations have been that public sector banks are irresponsible, inefficient, not making profits, a drag on the economy, etc. After the Punjab National Bank-Nirav Modi fraud, many people said it was time to privatise the public sector banks. Some wanted IDBI Bank to be modelled on Axis Bank. Now you have seen what happened in Axis Bank. ICICI Bank was built as a role model for the banking industry. Now the balloon has burst. In 1961, the Deposit Insurance Corporation was set up, and a special clause, Section 45, was added to the Banking Companies Act, as demanded by the AIBEA, to merge failed, small, banks with other banks. Hundreds of private banks were closing then and several were merged into public sector banks. The government has brought in the Insolvency and Bankruptcy Code, bank recapitalisation, and several other measures. Do you think it is not doing enough? The IBC route is neither beneficial to banks nor helpful for the borrower. It is killing banks and enterprises. Through this route, banks will not get all their money back. Their sacrifice will be very high. It will result in huge haircuts, a minimum of 50 per cent. Genuine people who are caught in economic stagnation will lose everything and thousands will lose jobs. On the other hand, it is likely to benefit crooked borrowers. For instance, the IBC proceedings in the case of Vijay Mallya are against Kingfisher Airlines, not Mallya. So the company and its employees will suffer and the banks will take a haircut, but Mallya can start another business. The Reserve Bank of India must publish the names of wilful defaulters. The government is doing a blunder. Instead of helping banks to recover their money, it has brought in the Financial Resolution and Deposit Insurance (FRDI) Bill. There is a clause in the Bill that if the bank faces liquidation, the government will not bail out the bank and the depositors' money will be utilised to bail it out. This is creating panic among depositors. While the government says it is recapitalising banks to the tune of Rs 2,110 billion, the capital given to the banks is just Rs 180 billion. This would create a wrong impression among the public that banks are not utilising the opportunity offered by the government. More loans need to be disbursed because our bank loan to GDP ratio is 46, 47 per cent, while it is as high as 110 per cent in some countries. What is your take on the cash crunch in certain regions? This government's understanding of many economic problems is superficial. It has no answer to how more than demonetised money has returned to the banking system after demonetisation. This shows its understanding of black money is shallow. After demonetising Rs 1,000 notes, it brought in Rs 2,000 notes, which is foolish because the idea was to curb black money. This has hit banks very badly. Banks deal with almost 600 million people. Agriculture, the rural economy, and small-scale industry suffered because of this. They are yet to come out of the mess it created. Maybe to push its digital agenda, the government is reducing the printing of notes of smaller denominations. The problem is how to take the masses to digital banking. If you create a scarcity, they may be compelled to switch to digitisation. How are these affecting bank employees? There are about 1 million employees and officers in banks. The cash shortage affected them daily. There was rationing in many places. Customers shout at them, not at the finance minister or RBI governor. The government is forcing its schemes on public sector banks. If private banks are so efficient, why is the government not going to them with such schemes? There are about 200,000 vacancies in banks. The existing staff is being pressured to cope with the increased volume of work. Banks are outsourcing core jobs to agencies. Public sector banks must have people on their permanent rolls. Merging public sector banks: What is your stand on this? Privatisation, the weakening of social banking, and consolidation are three demands companies have. Banks have deposits of Rs 1,100 billion, which is people's money. If they are privatised, corporates will control people's money. If the government privatises banks, corporates would like the big ones to be put on the block. The government says through consolidation banks will become bigger. India needs stronger, good, banks and not necessarily big banks. Big banks are not necessarily good banks. Also, even if they consolidate, our banks will not become big. Today there are 20 public sector banks whose capital is only $3 billion, so even if all the 20 are consolidated into one bank, the capital will be $3 billion, whereas in the global banking scenario, multinational banks' capital size is in the range of $60 billion to $80 billion. Consolidation will be on the agenda when growth is saturated. In India, it is still under-banked. We need banks' expansion, not consolidation. In America, with around one-third of the Indian population, there are more than 300 banks. So we can afford to have more banks. Is the RBI over-regulating or under-regulating banks? The RBI's regulations are adequate and are one of the best in the world. That is why the Indian banking system has been safe so far. The government is trying to weaken those regulations under corporate pressure to liberalise and de-regulate. It is also a matter of regret that the RBI is not using its powers effectively. If the RBI had monitored the banks' working, such huge accumulations of bad loans would not have taken place and many private banks would not have faced problems since their weakness would have been detected much earlier.